Mighty Directory the #1 Web Directory & Business Directory online. 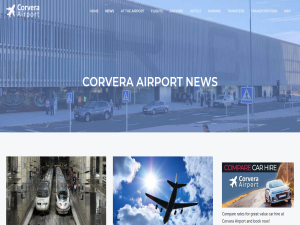 The Corvera Airport Travel blog provides regular news and updates on Corvera Airport. From the latest information on shops and business at the airport, to the latest goings on, the Corvera Airport Travel blog can help you find out everything you need to know before you travel. Visit the website to take a look at the blog today. The Costa Calida is renowned for year round sunshine making it an ideal destination for golfers. This year is no different and this week delegates from the Murcian Institute for Tourism are in London meeting with the top 3 golf tour operators to promote and strengthen the position of Murcia as a top golfing destination in Europe. In continued efforts to promote Murcia as a tourist destination with something on offer for everyone, this week’s talks and meetings are boosted by a presence at golf fairs, press releases and general promotion of the region. The hope is that passenger numbers at Corvera airport will continue to show strong signs and a positive upward turn to compensate for any lull following the Brexit uncertainty. The aim is to attract up to around 14,000 British golfers to the region of Murcia this year. With an increasing range of UK destinations on offer from the Corvera airport there is ample opportunity to promote Murcia as a convenient and viable golf hot spot. Murcia has a number of top golf courses across the region including the Jack Nicklaus designed course at El Valle, the West course at La Manga Club, the Signature Course at Alhama designed by Jack Nicklaus, the Dave Thomas designed course at Hacienda del Alamo and the La Torre golf course designed again by Jack Nicklaus. The post Murcia: A Top Destination For Golfers appeared first on Corvera Airport Travel. Further to our earlier news about the possibility of Corvera airport officially being renamed, as of Friday 12th April, the Minstry of Development has authorised the name change. The new name for the airport will be Juan de la Cierva. The name change was announced by President Lopez Miras, who also informed the community of Murcia that procedures were already underway to progress the name change. Juan de la Cierva (1895-1936) was the inventor of the autogyro in 1920, a type of aircraft with a single rotor. As an influential Murcian figure, the name change brings recognition to his contributions to the field of aeronatics. De la Cierva’s work on rotor dynamics supported further developments such as advances to the modern helicopter. It is widely assumed that the airport will continue to be known or referred to as “Murcia airport” or “Corvera airport” due to the vast length of time it has been known as such. Planning and talk about the new airport continued through many many years before construction and final completion happened. The post Corvera Airport To Officially Be Renamed appeared first on Corvera Airport Travel. The Department of Tourism in the regional government is continuing to promote Corvera Airport and encourage tourism to the Costa Cálida following the start of the summer flight schedule. The government has been promoting connections from airports across the UK, including London, Bristol, Manchester and Glasgow. The new flight schedule began at the start of this month, and has also included an increase in bus routes to and from the airport. These efforts are part of a strategy to minimise any potential negative effects of Brexit on Murcia’s economy and the international tourism sector. A campaign has also been run by Youtravel to promote flights to Corvera. This has included meetings with over 150 retailers, bloggers and travel agents with a series of presentations and evening sessions. Other promotion efforts incluude press trips and attending tourism fairs across the UK. The UK is currently the largest source of tourism and foreign visitors to the region of Murcia. It is estimated that in 2019, the UK has provided 34.7% of the overall total of tourism numbers this year. The total percentage for the whole of 2018 has been estimated at 41%. Although these numbers are high, the regional government is of course hoping to continue to encourage tourism from the UK and abroad. The popularity of Murcia and Corvera is also clearly represented in the new summer flight schedule which saw an increase in the number of inbound and outbound flights. This includes 16 flights landing at Corvera airport from a total of 10 destinations. Currently, the majority of these are Ryanair flights coming from the UK. There are also new flights from Jet2 from both Manchester and Leeds Bradford, as well as new routes from both Tui and Norwegian. For more information on flights to and from Corvera airport, take a look at our dedicated flights information page. We also have live updates on both arrivals and departures to help you plan your journey before you travel. The post Murcia government promoting flights to Corvera appeared first on Corvera Airport Travel. Subway, the American chain selling primarily submarine sandwiches and salads, has announced it is to open a branch at the airport in May. The new location will be within the boarding area of the airport and whether you are after a Chicken Teriyaki sub or a Tuna salad, the opening signals part of the constant growth of the new airport. Currently the chain has more than 60 restaurants in Spain including Alicante and Palma airport. Subway specialise in convenience, speedy service and fresh sandwiches making it an ideal addition to the new airport. According to online sources, Subway is the largest fast food restaurant by the number of locations across the world (around 43,000!) and is still a family run business. Having been open a couple months, Corvera airport is consistently working towards increasing the facilities and amenities on offer to passengers. The post Subway To Open in May appeared first on Corvera Airport Travel. As of yesterday, 1st April there are some revisions to the Interbus bus schedule for buses going across the region from the airport. Many of the bus routes have been simplified with regular times each day of the week. Previously some of the routes had different times for different days of the week. Further to the high level of requests, a bus route from the airport covering La Manga has also been introduced. The journey time is 1 hr 15 mins and will cost 10 euros. The route will stop in Cartagena, La Manga Club and La Manga itself. Information, schedules and costs have now been updated on the website so see our Corvera Bus page for the latest information. The bus schedules have always been liable to changes as response and demand changes for each of the new bus routes. See below for the revised costs for each bus route. Further to the introductory prices, the costs for the Interbus Bus routes have been decreased. 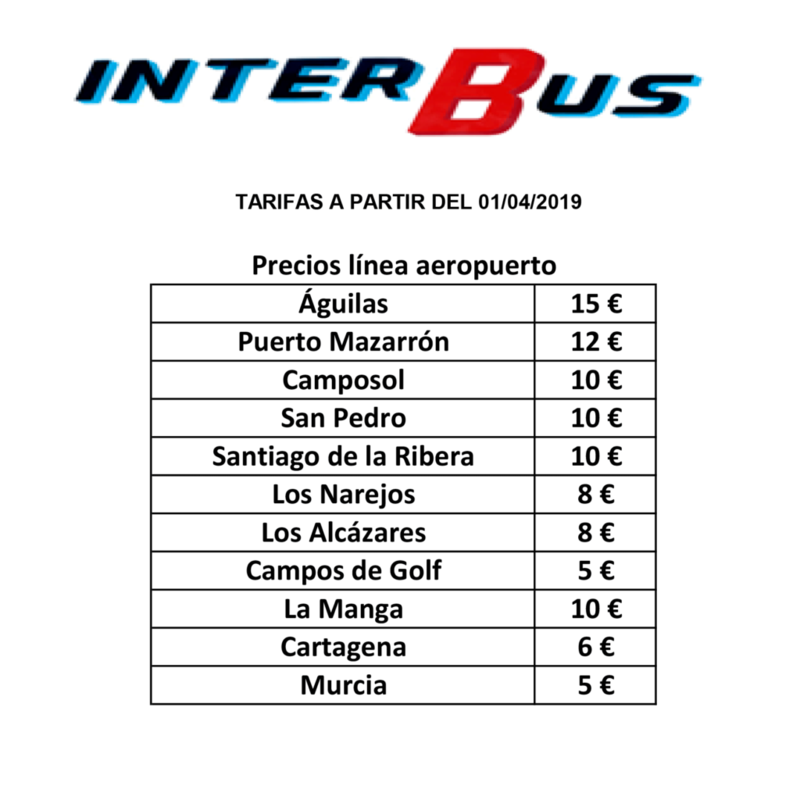 The post Updated Interbus Schedule for Bus Routes from Corvera appeared first on Corvera Airport Travel. The summer schedule at Corvera airport (RMU) is now in place and throughout this month there will be an increasing number of inbound and outbound flights at the airport. Today, 1st April, there will be 16 flights landing at Corvera airport from 10 different destinations. The majority will be Ryanair flights coming in from the UK. The first flight coming in from Bournemouth landed at 10am this morning and the last one of the day is scheduled to land at 9.40pm from London Gatwick. In May there will also be the start of the Smartwings flight from Prague and Volotea flight from Asturias. The post Summer Schedule Begins at Corvera Airport appeared first on Corvera Airport Travel. Mighty Directory is part of the SEOPROGURUS Network and we have been the leading experts in B2B marketing and information services for over 13+ yrs. We've been helping B2B and B2C businesses with their online presence and lead generation for over 24+ years. Copyright 2019 Mighty Directory LLC. All Right Reserved.